Indian Institute of Technology Mandi, established in 2009, has quickly gained reputation as one of the upcoming leading technical institutions in the world. IIT Mandi is a fully residential institute with more than 100 faculty members, over 500 students across the 4 years of bachelors of technology(BTech) degree and more than 120 research scholars. IIT Mandi is the first new IIT to have all the B.Tech students in their main campus, with only a few branches of MS/PhD operating in Mandi. The main campus is well established, and is located a mere 14 km from Mandi city. Under the able leadership of Prof. T. A. Gonsalves, Director, IIT Mandi, the institute has moved from strength to strength since its establishment. It is currently offering 4 undergraduate courses (B.Tech CSE, B.Tech EE, B.Tech ME,B.Tech Civil) and has a strong research culture, with numerous Masters and PhD programmes. IIT Mandi is the first among new IITs to develop and use its main campus. The move to the main campus which began in July-September 2012 has been steadily gaining momentum. In April 2015, the shifting of all the B.Tech students to the permanent campus in Kamand has been completed and all the major activities of IIT Mandi are now being carried out from Kamand Campus. The residential campus in the serene landscape by the river Uhl offers a world-class academic environment with a high quality of life in a setting of natural splendour. Bus transport facility is available to facilitate the movement of students and faculty between Mandi and Kamand. 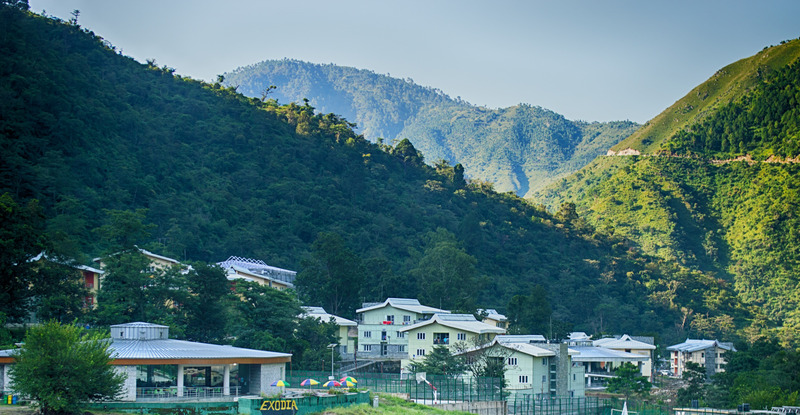 A faculty of international repute, vibrant student community, innovative curriculum, excellent technical and administrative staff and stress over indigenous technologies has amalgamated into the rapid growth of IIT Mandi. Many students in their bachelors take the opportunity to work with research scholars and gain a research oriented mindset.